When one thinks about the prerequisites of getting a good night’s sleep, the mind automatically darts to the things present in the immediate environment like the bed, pillows or perhaps a cool and pleasant temperature in the room. The physical environment has a profound effect on the quality of sleep. In fact, the mattress that you rest your back on not only influences the quality of your sleep but can also affect your musculoskeletal health. The wrong mattress can exponentially increase chronic pain problems and give you a bad posture. In fact, the type of mattress can also differ according to the body weight and the sleeping posture of the individual. While an individual with a lower BMI can make do with a thinner mattress, a person who is on the heavier side of the spectrum would require a thicker and firmer mattress to provide adequate support to the back and the spine. Similarly, the type of mattress would be different for a side sleeper and a back sleeper. 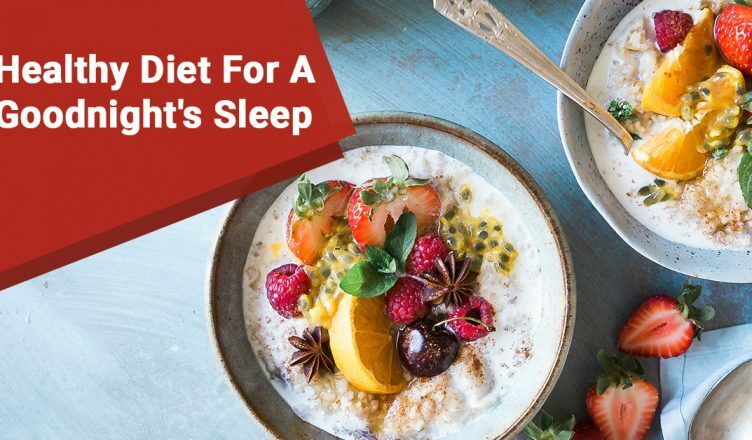 However, besides the obvious, did you also know, what you eat throughout the day can also affect your quality of sleep at night? In fact, a number of ailments such as hypertension, obesity, diabetes have been linked to poor sleep. Psychologists have also found a relationship between poor sleep and eating disorders such as binge eating and bulimia nervosa. Binging on high sodium food like potato chips and fried food can further exacerbate the problem leading to a vicious cycle that results in poor sleep, weight gain and an unhealthy body. To get a good night’s sleep, it is always advisable to reduce the intake of fries and frozen food items. You need to space out the meals evenly throughout the day. 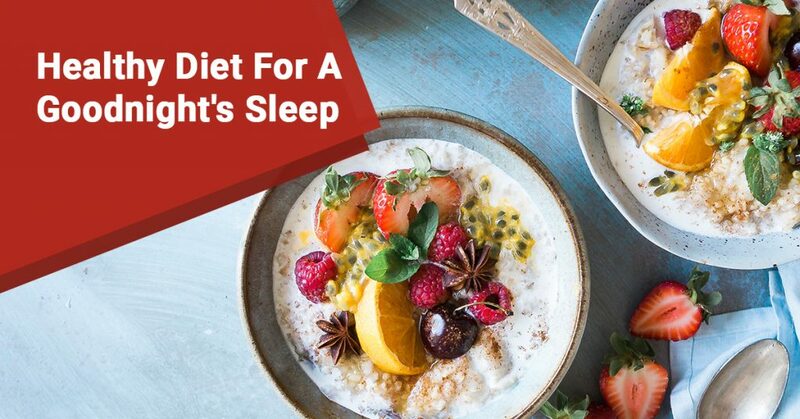 To achieve a better sleeping habit, you need to have a balanced diet throughout the day that is complete with all the important nutrients that your body needs to function properly. Rather than having a heavy meal just before going to bed, try breaking up the meals into six smaller meals throughout the day. This way, you can avoid the danger of eating too much or too little. Large, late night dinners are known to increase the blood flow to the digestive tract which is one of the main reasons for a bloated stomach. On the contrary, skipping dinner can lower the iron level and is known to be a contributor to the restless leg syndrome. Scientific studies have shown that complex carbohydrates added with a little bit of protein can make an excellent bedtime snack. If you feel hunger pang and are dying for a late night snack, you can reach out to a bowl of cereal or whole wheat bread couple with a dollop of peanut butter. By having a full stomach throughout the day, you will find yourself less tempted to raid the fridge in the middle of the night for a midnight snack. Consumption of too much caffeine throughout the day can have a detrimental effect on your sleep. Besides solid food, doctors also recommend staying well hydrated throughout the day to enable better sleeping at night. However, restrain from emptying the whole bottle of water right before you go to bed in case you do not wish to visit the washroom five times in the night!